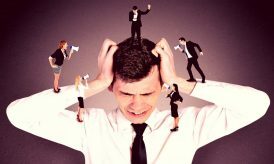 Why Is The Law of Attraction Working Against Me? and this was the primary reason behind this post. It is really important to change peoples’ understanding of the Law of Attraction. There are so many confusion about the concept and it misleads people in many ways which are actually very dangerous. 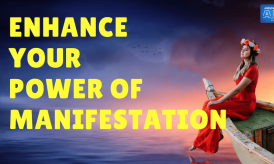 The popularity of Law of Attraction as a philosophy is increasing and many people are learning about it every day from various sources available and they are interpreting it in their way. This self-learning sometimes lead to questions like above. If It’s A Myth Then What Is The Truth? What people think in general is that Law of Attraction is either working in t favor our or against them. 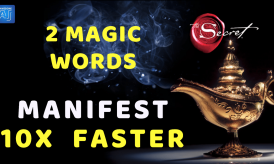 Either they have manifested many things using Law of Attraction or they use it to manifest certain things and they fail. We get across this kind of statements on a daily basis. 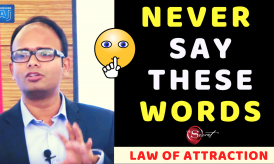 To start with, we want to make it clear in the simplest form that Law of Attraction does not work in anyone’s favour nor against them. Like any other natural law, it works equally to everyone, not less not more. We are aware of all the laws of nature and they are working all the time for everyone in the same way, irrespective the individual stature, place and state of living. The same principle is applicable for Law of Attraction as well. #First: Law of Attraction is always there and it’s always working but in a neutral state. # Second: It’s always working, depending upon your thoughts, feelings and action. Your thought process is the genesis of what you are attracting into your life. So Law of Attraction is not working in favour of you or against you. In reality, it is working for you. It is up to you how you use it. Knowingly or unknowingly, you may be using it in your favour or against yourself. Law Attraction works in its own mysterious way like any other mystic in this world. Remember this, Law of Attraction responds to what goes inside you. If you feel happy, positive and good about you. You will get good results, you will attract only happy, positive and good situations into your life. And if your feel the other way round, then the reverse will happen. With fear, anxiety and stress, you will attract more of it. Therefore, in Law of Attraction, they always say, whatever you want you must feel deserving about it. Otherwise, you will never get it. When you are not sure about yourself, how come you expect the Universe to bless you with that. At the same time, we are so sure about bad things that it bound to happen. So use it wisely, when you use it in the positive direction, positive things will happen in your life. 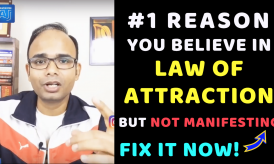 We always suggest people “read more about Law of Attraction, learn more about it so that one will understand the concept properly.” We also direct them to our Free Law of Attraction Course available for FREE, to learn the basic concepts related to Law of Attraction and try to use it properly so that they can manifest their dreams and goals. 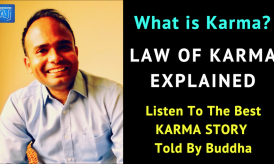 It is a very basic concept on Law of Attraction that everyone must understand so that they can use it in the most positive way. You must share this post with your friends and family so that they will get to know about these misconceptions. Help yourself and other. 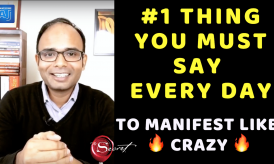 Very nice video Aj sir..
And LAW OF ATTRACTION works Definitely….according to you. Your all teaching and video are essential and helpful for me. So I just wanna say ..THANK YOU SO MUCH AJ sir..